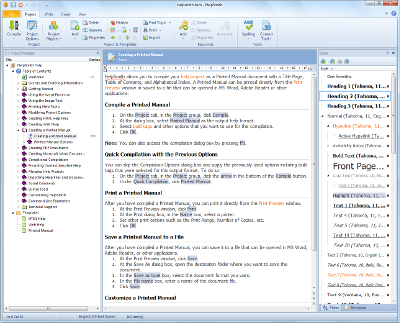 Make manuals, hypertext , HTMLHelp CHM, WinHelp HLP, online help, personal CD/DVDs with this all-in-one easy visual editor. No coding, like a word processor, but with more features: links, popups, audio, video... Edit, search/replace, archive and publish functions that act on the whole hypertext, rather than on individual pages. Handy: one manual, one file. Start from scratch and create your electronic manuals / documentation quickly!